When it comes to maintaining a steady temperature in your home, a home ventilation system is one of your greatest assets. Unfortunately, home ventilation systems focus on air temperature, which fails to address the issue of humidity. In contrast, SmartVent Evolve tackles humidity also, allowing you to increase the comfort levels in your property. Using a tablet-based system, SmartVent Evolve presents a variety of settings you can manipulate to control the climate in your house. There are optional extras that enhance this process, although it is perfectly possible to get by without them. Knowing a little more about SmartVent Evolve and how it works can help you determine whether it is the right choice for your home. What is SmartVent Evolve and Why is it Different? SmartVent Evolve uses positive pressure ventilation to draw dry air into your home. This air comes from either the roof cavity or outside, which means there is a consistent source. When this air interacts with the damp environment around it, it reduces humidity. As a high-tech system, SmartVent Evolve goes beyond the realms of a normal home ventilation system’s capabilities. Sensors are in place around the home and they continuously operate to detect temperature and humidity. Working alongside them are ventilators, a tablet that you can use to control the system, and a WiFi connection that allows for continuous software updates. 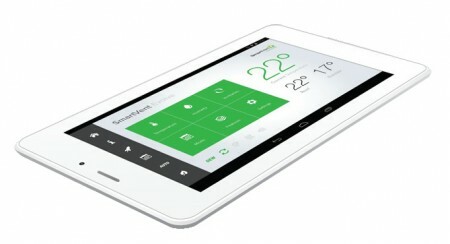 Using the tablet that comes with your home ventilation system, you can control it across several modes. Amongst these modes is ‘eco’, which allows you to manipulate the system so that it uses less energy. In addition to this, you can use a setting that allows you to turn the ventilators down, allowing you to reduce the noise they produce. Naturally, you can control temperature as well as humidity. Using a simple touchscreen system, you can turn the temperature up and down. With a little tweaking, it is even possible to schedule changes. This means you can aim for room temperature when you’re out of the home and trying to conserve energy then set a particular temperature for when you’re in the home. Why not Just Use Home Ventilation? There is no denying that home ventilation alone is handy. You can turn the temperature up and down, resulting in a better climate. However, it does not offer a complete approach to climate control. Humidity plays as much of a role in how you feel as temperature. Humans can feel comfortable within 30-70% humidity ranges, but the optimal range is 40-50%. One of the few ways to guarantee that you achieve ideal ranges in your home is to use a pressure ventilation system to draw dry air into your home. Reducing the incidence of damp: Not only can damp lead to irritations like mould, it can damage your home’s structure. Mould: Mould doesn’t just look bad, it has the potential to cause a variety of health conditions. Mould spores can exacerbate asthma and other respiratory diseases. Mildew: Like mould, mildew can act as an environmental allergen. Not only can it worsen respiratory conditions, it has the potential to irritate those who are of good health. As you can see achieving the right humidity comes with several benefits. SmartVent Evolve achieves this in several ways. How Does SmartVent Evolve Work? SmartVent Evolve’s main function is to draw dry air either from your roof cavity or outside, then filter it into your home. In order to do this, it relies on several sensors throughout the property. Multiple sensors positioned around your house monitor for both temperature and humidity. Together, they determine how much dry air needs to enter the environment. They work alongside a series of centrifugal fans, which filter the air coming in to remove pollutants and other hazardous substances. This then means that the air is clean enough to breathe in safely. While the temperature sensors monitor for temperature, the humidity sensors try to detect something called a ‘dew point’. This is basically the point where humidity is going to occur, which means SmartVent Evolve stops it from becoming a problem. Whether you just rely on the basic functions, or you choose to include the optional extras too, SmartVent Evolve operates using a simple tablet and WiFi system. After installing the app onto the tablet, it’s possible to use it for other purposes, such as watching TV and playing games. 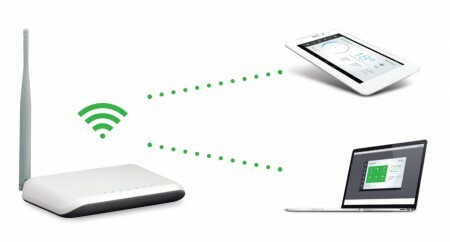 The system’s WiFi connection means you can control it from anywhere. So whether you’re at work, mid-commute, or on holiday, you’re able to access your system. As an added bonus, the software always updates automatically, and your unique username and password makes it secure. How can You Get Started with SmartVent? To get started with SmartVent, you need a visit from a SmartVent Evolve consultant. 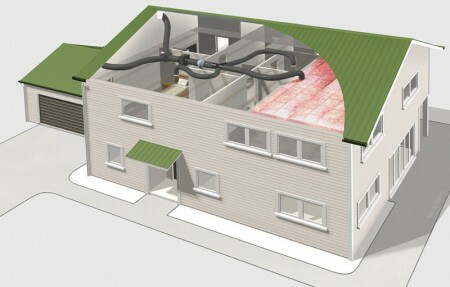 The consultation begins with an assessment of your home, which determines what your property’s ventilation needs are. If you’re planning on building or renovating a home, you can send your property plans to the SmartVent consultant and they’ll determine how the home ventilation system can fit with them. As SmartVent is available in a format that suits climates across New Zealand, you don’t need to worry about whether it’ll match your property’s needs. You receive a five-year warranty, allowing you to rest assured that the system won’t break down any time soon. As all SmartVent installers are qualified electricians, you can look forward to an installation that is both safe and reliable.